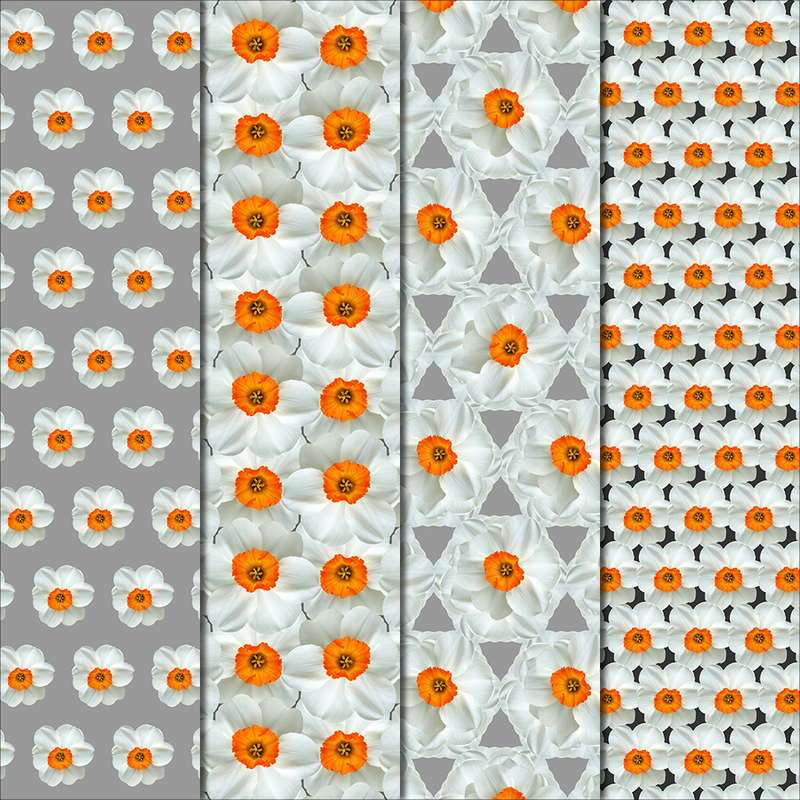 Inspired by nature, these botanic patterns are made with REAL Daffodil Flowers. Each pattern is made with natural photographic elements. 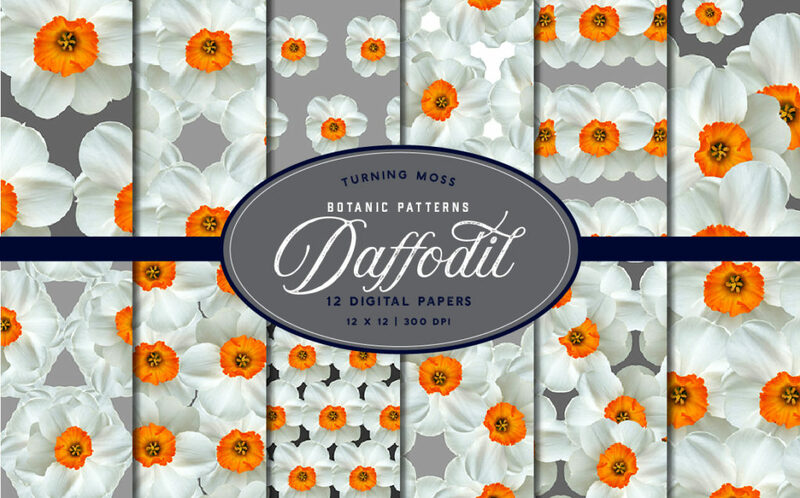 In this pack you will find 12 unique decorative papers, created entirely with digital Daffodils. 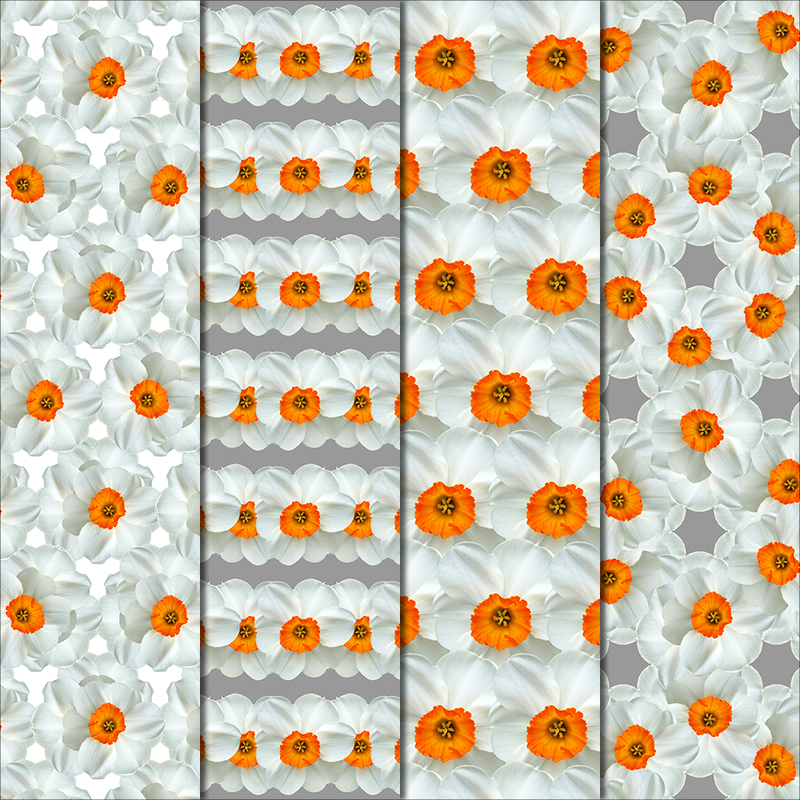 The Daffodil featured in these patterns has a bright orange center surrounded with white petals. You can find this Daffodil sprouting up in early spring all over the mid-west – it’s hard to miss these delightful spring flowers! 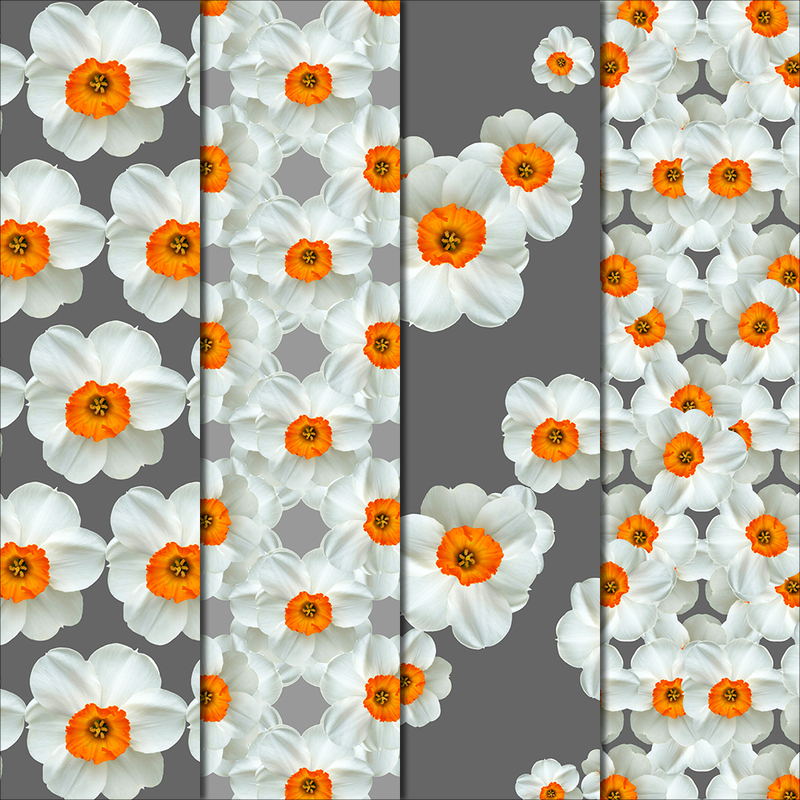 The patterns in this pack are all made with GRAY/WHITE backgrounds.